Author: Kerper, Barrie Set In . . . Description: A NEW SERIES DESIGNED FOR TRAVELERS WHO WANT MORE THAN A GUIDEBOOK Each edition of this unique series marries a collection of previously published essays with detailed practical information, creating a colorful and deeply absorbing pastiche of opinions and advice. Each book is a valuable resource-a compass of sorts-pointing vacationers, business travelers, and readers in many directions. Going abroad with a Collected Traveler edition is like being accompanied by a group of savvy and observant friends who are intimately familiar with your destination. 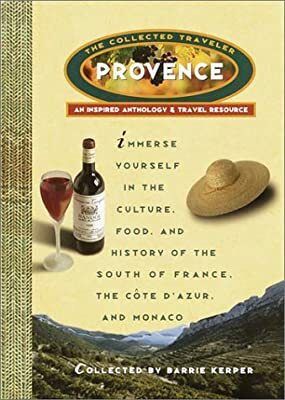 * Distinguished writers, such as Peter Mayle, Mary Cantwell, Alexandra Foges, Patricia Wells, Herbert Gold, Lorraine Alexander, Gully Wells,Linda Dannenberg, Randall Rothenberg, Cary Marriott, Cara De Silva, Jeffrey Robinson, Frank Prial, and Judith Thurman, who share seductive pieces on Provence's Roman influence, the unsung glories of Marseille, the region's beaches, gardens, and wine, and Aix-en-Provence's famous almond calissons. *Annotated bibliographies for each section with recommendations for related readings. *An A-Z "renseignements pratiques" (practical information) section covering everything from accommodations, tipping, and parler pointu to cafes, film, hiking, and le soleil. Whether it's your first trip or your tenth, the Collected Traveler books are indispensable, and meant to be the first volumes you turn to when planning your journeys.